From Captain's Daughter to Army Mom: Hickory Farms brings the Holidays to our Troops and a Give-away! 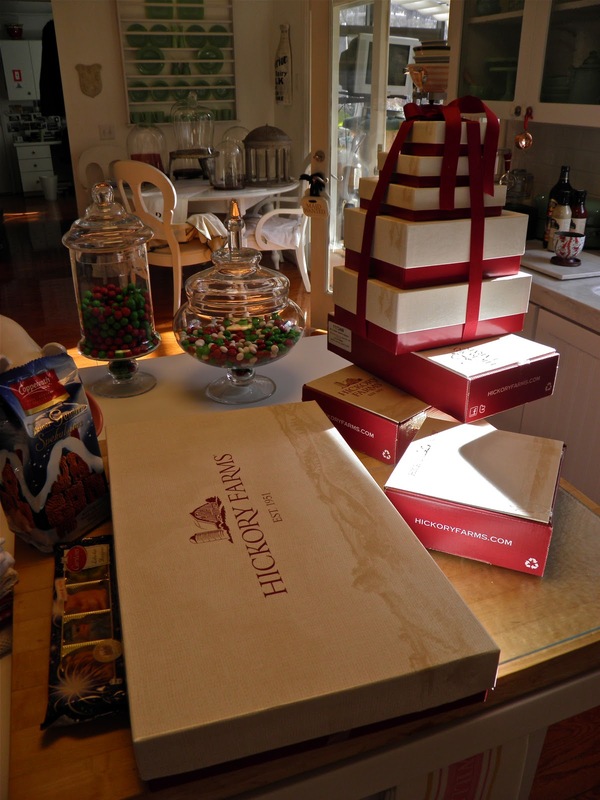 Hickory Farms brings the Holidays to our Troops and a Give-away! who doesn't love Hickory Farms? I can't imagine celebrating the holidays without it! you have ever seen. It was wild. And, tasty! And... I loved every minute of it! packages we send him to share with his battle brothers. So what about you...? or something else that confirms the holiday season is finally here? Nevertheless, while the way we celebrate our holidays and who we celebrate with may change, memories of our past holidays and hopes for future holidays spent together again is what keep me moving long... And, I'm thankful again this year that traditional American companies like Hickory Farms is not only still around after sixty-one years, but also that they continue to innovate their products and take the lead to support our men and women in uniform. By offering FREE oversease shipping and by donating products to our troops, Hickory Farms ensures that every solider can have a little bit of home for the holidays no matter where in the world their job takes them. So if you're a military mom or dad, brother or sister, aunt, uncle, grandma or grandpa or just love someone in the military, send them Hickory Farms! And, if you're just ordering for your own holiday, be sure to consider one of the many Hickory Farms gift packages partnered with Operation Gratitude that come with the promise from Hickory Farms to donate back to our troops! Heck! You don't have to buy anything to help send delicious Hickory Farms to our troops... Simply Like Hickory Farms on Facebook and for every 1,000 likes, Hickory Farms will donate $100 to Operation Gratitude! 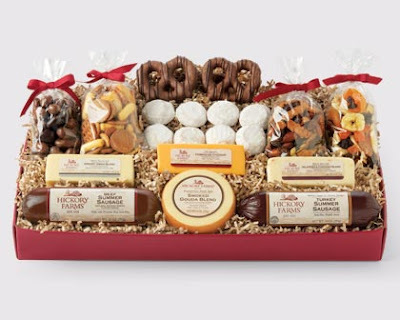 Simply leave a comment telling me about your favorite holiday tradition, food-related or not and you'll be entered to win a Home for the Holidays gift box valued at $55.50 and so generously provided by the good people at Hickory Farms. Be sure to include your e-mail address along with your city and state. In consideration for my mention, Hickory Farms sent me the same, which I promptly turned around to Afghanistan just yesterday! For extra entries, Tweet, mention my give-away on your own blog or Facebook page and tell me you did it! Winner will be selected at random and announced on Tuesday December 4th! Although it's been a terribly sad week for our family and the holidays certainly won't be the same, (again) without our Ranger here to celebrate with us, there is still so much we have to be thankful for. I am comforted by amazing parents, the love of a good man, two fine sons and more friends than I deserve. I delight in the joys of your holidays and wish you the best life has to offer, with love. My favorite holiday memory/tradition is baking cookies and fudge, packaging them up as gifts! My favorite holiday memory/tradition is making plates of goodies for the neighbors and then we make special ones to deliver to the childrens hospital. After Thanksgiving dinner is over and everyone is back home we all put away the fall decor and then put up our Christmas tree to start the decorating for the holidays. Thanksgiving is a sad time for me now as my sister passed away the Saturday after Thanksgiving in 2009, my brother passed away last October, and his wife passed away last Thanksgiving as well as a lifelong friend. Also 2 cousins passed away around that time. However my youngest daughter is hosting a family Thanksgiving dinner at her house. She and her sister have made fun things to do plans and lots of food. Then comes the extra fun part of our tradition of putting up the Christmas tree. When I was a child we all loaded up in the mule and wagon and went for a ride on our country roads. It was so much fun to sit at the back and hang our feet down and swing them back and forth as we traveled singing along the way. Hope your Holidays are full of much love and many blessings. There are so many holiday favorites, it's hard to narrow it down to just one. LOL! But I absolutely LOVE seeing the joy on the faces of my children during this magical time! Happy Thanksgiving to you and your family. I pray blessings upon each and every one of you!! My favorite memory is baking cookies with my grandma every year. My favorite holiday tradition is shopping for a child chosen from our community Tree of Hope. It seems to put the holidays in the right perspective...one of thankfulness. My fave tradition is making fun of my Mom's Christmas ornaments. As mean as that sounds, it's all in good fun and doesn't hurt her feelings at all. We tell her you don't have to save every ugly ornament any friend you've ever had gave you or made for you. :-) She doesn't put them all on the tree, but can't bear to part with them. It's always a nice jog down memory lane and reminds her of old or new stories that she shares with us. Of course the past couple of years we've teased my dad that his LED Christmas lights on the tree inside are bright enough that he's blinding people on Google Earth. I am so sorry about your sweet Bing. I remember making candy, fudge and cookies with my mom and nana. I'm not entering the giveaway. Just wanted to say what a nice thing that Hickory Farms (and you) are doing for the troops. Such a nice post Janet. 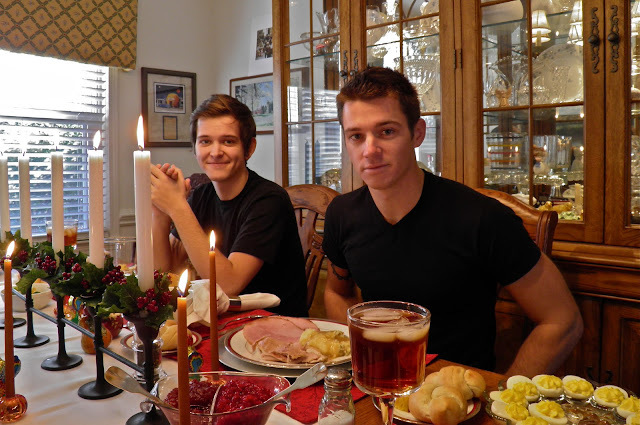 Though there were empty chairs at your Thanksgiving I know the hearts were full. Hi Janet! My most favorite holiday tradition when I was little was going to visit the Christmas house with my Grandparents. It was so magical and special. Every year it was a different theme. I wish it was still around so I could take my little ones. We have started our own tradition of going to the zoo lights. My kids love it! Happy Thanksgiving! So sorry to hear about your Bing--many times he made me laugh out loud with what you would write about him! My favorite tradition would be going out with my husband and two boys and picking out our Christmas tree. We love doing it and always have hot chocolate when we get back home. I know how fast time goes and I treasure the time I have with them now. Thank you and Hickory Farms!! My favorite Holiday tradition was making sugar cookies with my grandmother...we would make over 1,500 cookies to give away to friends and neighbors. She passed away a few months ago and I miss her so much. I will keep that tradition alive at my house this year. Wish me luck. Having grown up in a military town, I have sent many care packages to our service men and women stationed abroad. However, my favorite memory is making carmel corn with my mother-in-law and grandmother-in-law. i still give friends carmel corn for Christmas! Our favorite tradition is baking cookies on Christmas Eve for Santa, my kids love it! We always get new pajamas on Christmas Eve. i am sorry to hear of you loss! 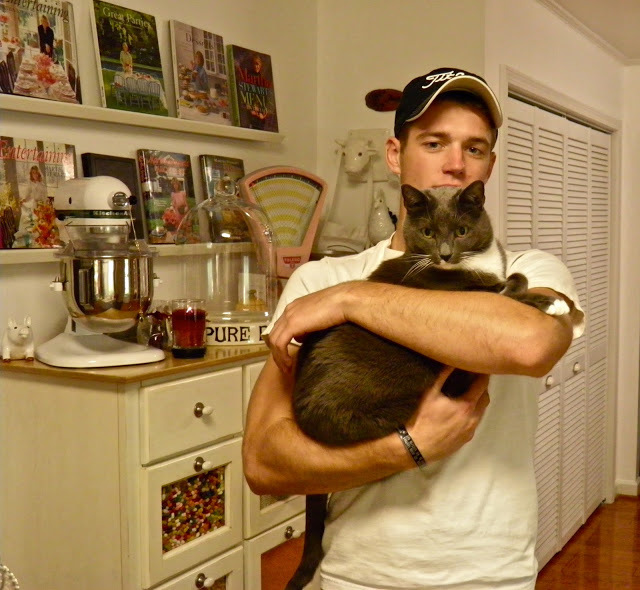 one thing that stands out to me is that we had a cat growing up, and he would climb the tree! i love the memories of trimming the tree! My favorite memories were making cookies and goodies while listening to Christmas songs and singing along! Hickory Farms has always been a part of the holiday goodies for me. Sadly there is no money in the budget for luxuries anymore, but I sure do miss a plateful of sliced Beef Summer Sausage and Smoked Cheddar Cheese! I have tried other (cheaper) brands and didn't like them at all. A least I still have the memories! 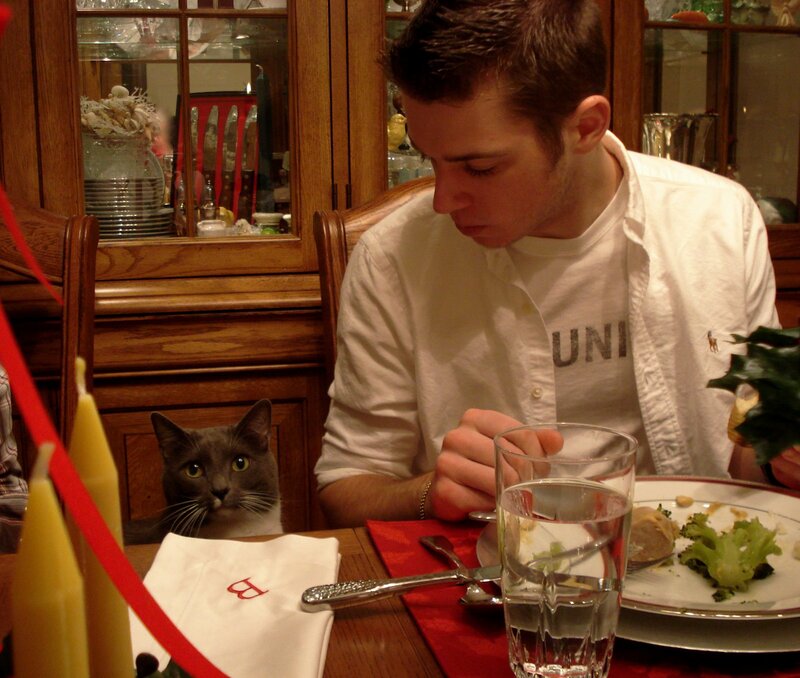 My favorite holiday tradition is just being with my family. We are usually so busy, so it is nice to just be together.